How do we, as men, buy things? Well, when it comes to clothes, the answer is usually “as quickly as possible”. However, at the root of nearly all purchases are one or both of these considerations: 1) I need this; and 2) I want this. Something you need could be a winter coat if you live an a cold climate, or a tuxedo if you’re invited to a black tie event. Things that aren’t really optional and therefore take precedence over other purchases. They may be required for the long-term (the winter coat) or for a single use (the tuxedo). On the other hand, there are things we want. They can be anything and this is where we can get in some trouble (but also are what can make buying clothes interesting and fun). We may want an expensive cashmere scarf that we’ll wear every day during the winter. Or, we may want a pair of baby blue driving loafers from a place like Zara that don’t cost too much but that we’ll wear a grand total of twice. Given that the vast majority of us have limited resources with which to buy clothes, like Steven Segal in Under Siege, it’s about making our bullets count. I majored in Economics during my undergrad years and so I have a habit of reducing things into economics-based ideas. This may sound like something you don’t really want to read, but hear me out for just a minute. I think it’s important for all of us to figure out the actual cost of what we buy. What I mean by the term “actual cost” is the “cost per wear” for a particular item – the amount you paid for the item divided by the number of times you’ve worn it. Say I buy a sweater for $200. An relatively expensive sweater to be sure, but one that fits me perfectly and looks great. I really like this sweater, so over the span of 3 years I wear it 50 times. Imagine, as well, that right around the time I bought the first sweater, I come across a second sweater, marked down to $30 from $120. It’s lime green, but it’s a great deal and I kind of like the colour. Three years later, I still do like the colour, but I just haven’t found as many occasions to wear it as I might have liked. In fact, I’ve only worn the second sweater 5 times over that same 3 year period. On the one hand, we have a sweater that cost $200, and on the other, one that cost $30. I wore the first sweater 50 times, making the actual cost of that sweater $4. The cheaper sweater I only wore 5 times, making its actual cost $6. In other words, the first sweater cost me less on a “per wear” basis than the second one, even though it was $170 more expensive in the first place. When you think about it, we all have to get dressed every day. We need pants (or shorts) of some kind, a shirt, a sweater and/or jacket if it’s cold or rainy, undergarments, some sort of footwear and whatever other assorted things we wear on a daily basis depending on the weather, time of year, the occasion, etc. Each day has clothing slots that need to be filled and we’re paying everyday to fill these slots – albeit, we paid upfront. If you think about it, this partially explains why certain things cost more than others. Well constructed items such as Alden shoes (above, on the left) or Barbour jackets (above, on the right) will last you years, which allows you to amortize the hefty up-front cost over many wearings (and, this also means that these business don’t expect you to be coming back for a replacement for a long time, meaning they need to charge more for each item they sell). H&M, on the other hand, operates from the exact opposite notion. 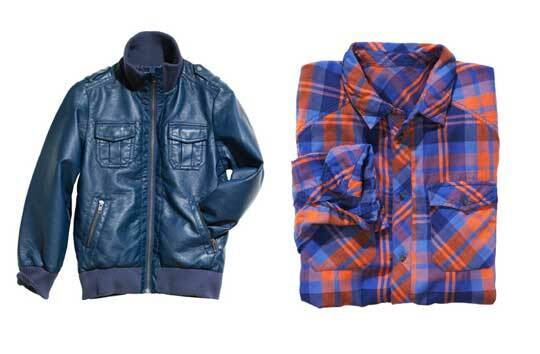 Their clothes (some examples of which are pictured above) are disposable; they’re not of particularly high quality and they’re built to be stylish for a brief window of time. H&M expects you to be replacing them regularly and therefore they’re available at a very low price. Neither of these approaches, economically speaking, is really better or worse than the other. 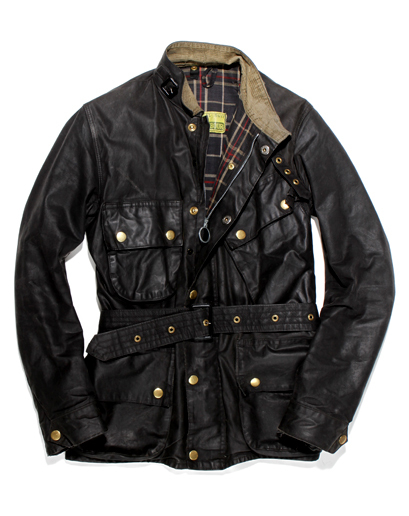 On the one hand, with a Barbour coat, you wear it many times (good for “actual cost”) but it’s got a high upfront cost (bad for “actual cost”). H&M clothes are cheap (good for “actual cost”) but disposable (bad for “actual cost”), so you’re really not particularly better off, economically speaking, buying one over the other. Both have their function and fill a particular role. What you generally want to avoid are items that are relatively expensive and that you won’t wear very often (either because they won’t last very long, or because you don’t really have the need or desire to wear them). I say that you “generally” want to avoid these things because there are certain instances where you have no choice. Things fall into the “need” category rather than the “want” category all the time. For example, if you live in Hawaii and decide to go on a ski holiday in the Alps, you’ll need a good ski jacket to keep you warm. Good ski jackets tend to be costly and you’re not likely to be wearing this jacket very many times living in Hawaii – but if you want to go skiing and stay warm, you need one. The same goes for things like tuxedos and many other things that are required for one reason or another. You simply have to bite the proverbial bullet and take the hit with a high actual cost. What you want to avoid are things that you’re buying because of “want” for a lot of money that, when you actually try and think clearly through your cloud of lust, you’re really never going to use. Even cheaper things, as shown by my earlier example, may not make economical sense if you don’t wear them very often. However, given that you purchased them for a lesser cost, you need to wear them less than a more expensive garment for them to make financial sense. 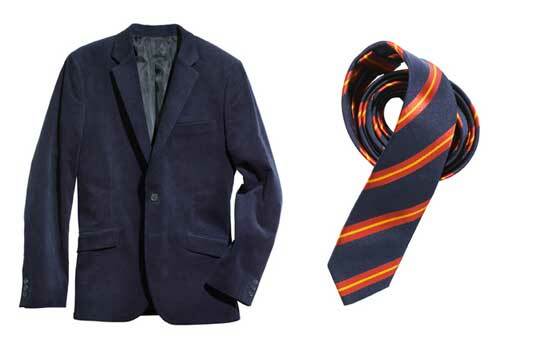 e) are staples, things that are acceptable to wear in as many social situations as possible and match as many items in your closet as possible (for example, a grey sweater is generally more useful than a lime green one, just because it can be paired with more things in your wardrobe and is a more classic colour). There are undoubtedly other factors that influence actual cost, but I think these are the core ones. It’s not as simple as buying low and wearing things a lot, because often you get what you pay for. It’s about “using your bullets” like a sniper rather than a machine-gunner. Target certain things that will check the major boxes (navy suit, black shoes, gray sweater, etc) and fill in the space around them with things that are more interesting, one-dimensional and infuse your personality into your wardrobe, but always with at least an eye on the actual cost of what you’re buying. The second consideration when it comes to maximizing the economics of buying clothes is how substitutable the item is. In other words, can you get something that is reasonably close to the same thing for less, and, if you can, why are you paying more? This second consideration becomes useful where an item seems to be carry a reasonable actual cost. Here’s an example: imagine that I’ve purchased a pair of black Salvatore Ferragamo captoe lace-up shoes. These shoes are from Ferragamo’s Studio line, which is their lowest priced line of three. (Studio, Lavorazione Orginale and Tramezza). I purchased them from Saks (here), for $473 Canadian. The first thing I will say about these shoes is that they look great. Modern, classic and yet very elegant and tasteful in appearance. They’re black and captoe making them an absolute wardrobe staple. Plus, I can wear them to the office, but also out on the town. Frankly, I can wear them just about anywhere. They’re not going to go out of style, and their construction is certainly equal to many commonly sold shoes on the market. They cost a fair amount, but I’d say that I might wear them as many as 150 times in 3 years, making their actual cost around $3. In other words, they seem like a winner on an actual cost basis. However, they’re a bit of a disaster when it comes to a substitute goods analysis. You see, they may look great, and their construction may be equal to many shoes on the market, but they’re still $500. They’re entirely glued together, as most shoes are, meaning that you’re only likely to get 3 years out of them. 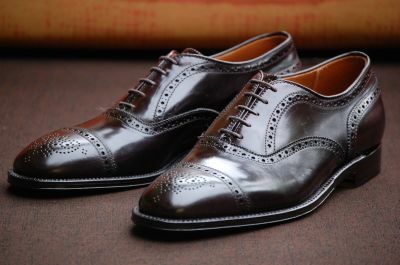 This is especially so if you wear them as regularly as you’d need to to make them economical – plus, while many shoes are constructed similarly, this is actually more than I’d like to spend on glued shoes. For less than $500, I can find you many shoes that are better made here, here or here . These alternatives would last you longer, look just as good (or nearly as good) and therefore be more economical for you. A lot of what you’re paying for the Ferragamo shoes is due to the Ferragamo brand name on the sole and the cachet that goes with it. This means that items can pass the “actual cost” test, but still not be a great buy. Therefore, it is important to determine whether there are cheaper substitute goods available. Now, this isn’t to say that buying a $500 navy suit is superior to buying a $1,500 navy suit, because these goods may not be as substitutable as you think. The construction of the cheaper suit is likely to be such that it will limit the life of the suit; perhaps it’s more trendy and therefore will go out of style faster; perhaps, when you buy a few more expensive suits, you’ll shy away from the cheaper suit because you’ve seen the way that nicer suits look on you and you’re almost embarrassed to where that one; perhaps the cheaper suit really doesn’t fit you particularly well. In other words, perhaps you’re really not getting the same thing for less money at all. At the same time, I feel that dress shirts are inherently disposable. They get stained, shrunk, sweated in, rolled up in laundry baskets, their collars get damaged, etc. 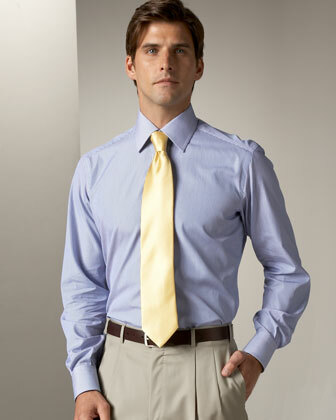 The life of a dress shirt is hard and often relatively short. 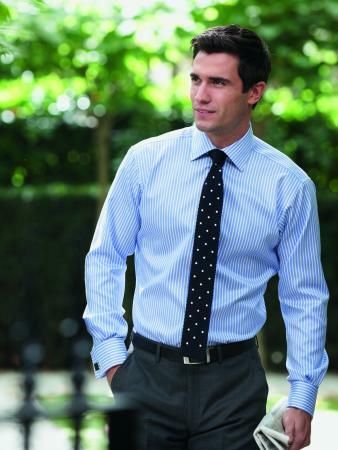 Moreover it’s often predominantly covered up by your suit jacket and tie, so only your collar is visible. Which, to me means that I don’t want to pay $300 for a dress shirt even if it becomes my favourite dress shirt and I wear it all the time making its actual cost not particularly high. This is because I feel confident that I can find a dress shirt nearly as good for under $70 at places like T.M. Lewin. If you look at the pictures above, there really isn’t much perceptible difference at all, despite the fact that the Brioni shirt on the right costs $475 at Niemen Marcus, while the T.M. Lewin shirt on the left can be had for $50. Undoubtedly, if you inspected the shirts up close, you would notice a difference in materials and quality, but enough to justify a $425 price difference? In my opinion, no. With suits, the gap between expensive suits and cheap suits can often be massive, for a variety of reasons. 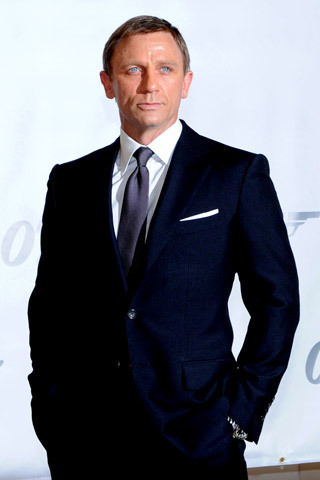 Suits are far more technical and difficult to make than a shirt and require more expertise to properly fit. Shirts do not; neither do socks and even pants. So, your second question when you’re buying an article clothing (after estimating your actual cost) should be asking yourself whether there are any substitutable goods. If there are, you may be better served buying the cheaper item and pocketing the difference. On the other hand, if there’s not, you might be better off ponying up the extra cash. So, the next time you’re shopping, don’t necessarily jump at sale prices and turn up your nose at high prices. Weigh each of them on their merits and use the tools of actual cost and substitute goods to decide what your best decision, economically speaking, would be. Don’t be afraid in making an investment in something you’re going to wear the hell out of, even if the initial cost is high. If you always try to cut cost corners and end up with things you don’t quite like, you may actually be costing yourself money on an actual cost basis. And don’t worry too much about not wearing something very often if you really did get it for a song. Soon there won’t be as many “ghosts” kicking around the back of your closet, hardly worn that you purchased on a whim. That’ll put money into your pocket, and who doesn’t want that? My twin mantras are to buy beautiful things and pay cheap prices. One of my favourite resources on the internet is the Buying and Selling thread at http://www.styleforum.net as it accomplishes both. This great website has everything from Brioni and Turnbull & Asser, to the more modern offerings of Nudie denim and Red Wing boots. Check it out here and see if you can’t get some great deals on things you otherwise couldn’t afford, didn’t know was out there or may not have had access to. 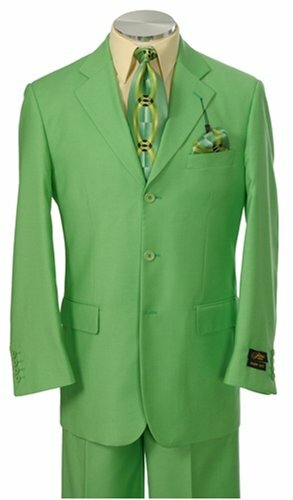 Please check out other similar posts about corporate style, including posts on suits, ties, shoes and more for the office at the new and improved One Guy’s Style blog at http://www.oneguysstyle.com.